Hello all and welcome to a new week! We’re looking forward to starting another new series on the blog this week. In addition to the 31 Days to Your European Family Vacation series, we are going to be featuring other travel bloggers on a weekly basis. 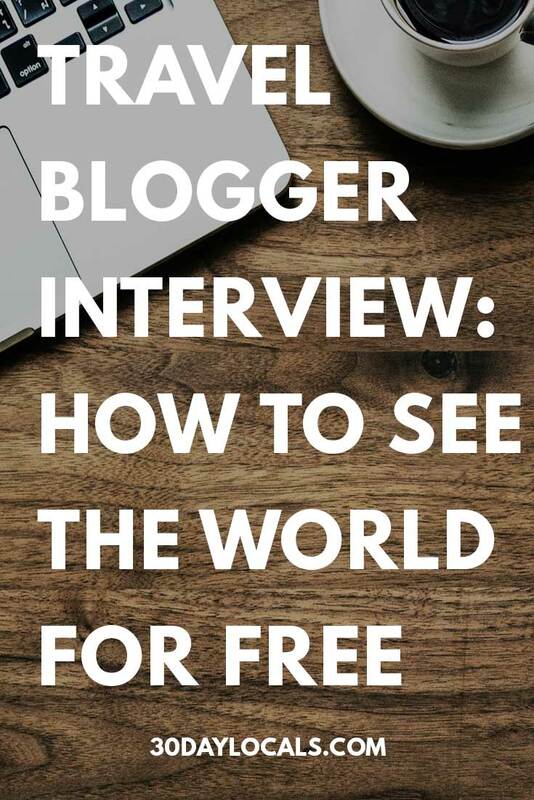 While we can offer you one perspective on travel blogging, there are countless ways others are making a living while traveling the world and telling others about it. We are kicking it off today with Tim Leffel, award-winning writing, author, publisher, and editor. We met Tim at TBEX Ostrava, a travel bloggers’ conference, and not only is he very knowledgeable on travel blogging, he was very generous with his time and advice. 1. How did you get into travel blogging? I was first a traditional travel writer, published in dozens of magazines and newspapers before the internet came along. That all started when I went traveling around the world and circled the globe three times over three years. When I put out the first edition of my book The World's Cheapest Destinations, the publisher prodded me to start a blog to get the word out. I made no money off it for years, but then after it had built up to a sizable audience, it started throwing off a little cash. I then went on to start several other sites, including PerceptiveTravel.com in 2006, and at that point I transitioned to writing and publishing full-time. 2. How do you fund your travels? Do you make a full income from your blog or do you supplement with other work? I have supported my family solely from my writing and blogging for about 12 years now. I did some ghostwriting, a regular telecom newsletter, an online business magazine, and other things along the way, but now almost all my income is from my own travel sites. I do a little freelancing, I help out with TBEX as a contractor, I run travel writing courses, and I own a street food tour company, but all those are small slices of the pie. At least 80% of the income is from advertising, sponsorship packages, and book royalties. In case it's not obvious from that, I'm a big believer in creating multiple streams of income. Even within that 80% there are probably 10 different streams: different books, different websites, direct ads, affiliate ads, network ads... But I'm also constantly reminding new bloggers that they shouldn't even be thinking about these things until they've built up an audience, a tribe, a following. There's nothing to monetize if you don't have any real influence yet. You haven't yet earned the right to get paid for it, sorry. It can take years. That's what freelancing is for, in the meantime. 3. What’s one of your favorite destinations? What makes it so special for you? I own a house in Guanajuato, Mexico and have lived there three years in all. I'm moving back next month. So that's clearly a special place for me. I've traveled to 20 states probably in Mexico. I like Peru a lot and have probably been there five times. I like Nepal a lot when I'm in the mountains instead of the cities. But I also have a great time when I'm in Europe or Asia and plan to spend more time in both in the coming years. Maybe I'll become a 30-day local in multiple places because now my daughter is in college. 4. What’s your favorite travel tip or travel hack? Load up on credit card bonuses and learn how to play the points and miles game right so that all of your spending is earning you something back. I've lost count of how many free flights and hotel rooms I've gotten from that the past decade--including trips to South America, Europe, and Southeast Asia. That makes a huge difference in what I'm able to cover in my writing and what I can say yes to. I can focus on what's right for a specific website instead of waiting for a press trip invite to come along or trying to get some destination to pay me to come there. I go where I want/need to go when opportunities arise. Also, since I have a book out on the cheapest places to travel, I should point out that spending your time in inexpensive destinations allows you to travel a lot more often or a lot longer than if you're jetting off to Norway or Japan. 5. What’s your best piece of advice for someone looking to take their first international trip? Just find a great deal and go! People spend way too much time trying to figure out "the perfect trip" when there's really no such thing. In fact the unplanned, spontaneous experiences are often the most interesting. I probably wouldn't advise the first trip to be a tough travel place like India or Egypt--you can ease into that after more experience---but there are plenty of interesting international destinations that won't break the bank but are not overcrowded and overpriced. You don't even have to go very far: from the USA you can head to colonial Mexico, Antigua Guatemala, or Quebec City to still feel like you're very far from home. From the UK you could get a cheap flight to bargain-priced Portugal, Hungary, or the Czech Republic. Thanks to Tim for sharing some great travel advice with us! If you want to check out more of what Tim has to say about traveling, you can find him on social media and his various websites. We hope you enjoy hearing from other travelers as much as we do. If you are a traveler and want to be interviewed, please send us an email to 30daylocals@gmail.com. Pin this for reference and to share it with others! !